From 1998 to 2003, the SCSU Center for NASA Research and Technology hosted a summer program for science teachers and students in grade 7 through 9. 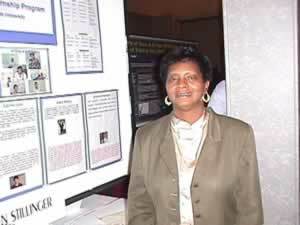 Focusing on space science and the use of computer technology, the program was one of a few of its nature in the United States to offer minorities, particularly African Americans, the opportunity to interact with NASA scientists, college science faculty and students, as well as a former astronaut. In what had started out as five, half-days had grown in 2002 to a two weeks long residential program for the students and 13 days for their teachers. The Space Science Academy program was developed to educate and stimulate the interest of middle school teachers and students with the knowledge, understanding and excitement of astronomy and space science through activities that are inquiry-based and hands-on in nature. Additionally, a three day workshop provided both in-service and pre-service teachers with the content needed to address the state and national science standards appropriate to the grade level they teach. 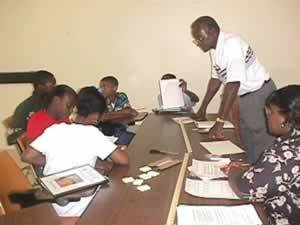 Students were divided into teams lead by a teacher, with each team conducting a series of topical activities in the areas of space science, astronomy, and computer technology. These activities included creating a model of the solar system; exposure to careers in space science and other technical areas; observance of the summer evening sky; planetarium shows; and hands-on experiments involving gathering data, processing information, formulating conclusions, and communicating ideas. In later years, day trips were taken to either the National Science Center's Fort Discovery in Augusta, GA or to Discovery Place, in Charlotte. North Carolina. One of the annual highlights of the Space Science Academy was the culminating activity, which consisted of presentations by student teams which they showcased their work to their peers, parents, and the community. In 2003, former astronaut, Major General Charles Bolden, Jr, USN ret., visited the campus of SCSU where he made several presentations including one to the Space Academy. Some 120 middle school students from more than 12 South Carolina counties participated in the Space Science Academy during the six years the program ran. The following two tables provides enrollment details (Table 1) and student interests (Table 2) for the first three years of the Space Science Academy. The Space Science Academy program was developed by Alice Baker, CNRT Program Coordinator, and much credit for its success is due to her dedication, perseverance and hard work. Funding for the Space Science Academy was provided by CNRT, SCSU and from a two-year grant (for 2002 and 2003) through NASA's Initiative to Develop Education through Astronomy and Space Science (IDEAS), administered by the Space Telescope Science Institute.